With a single IC you can make a simple Non Contact AC tester. 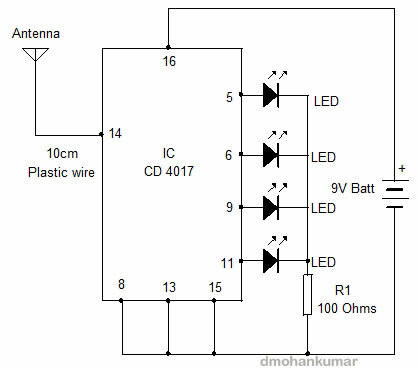 Just move in front of an AC wire, switch board etc that carrying AC, the LEDs in the circuit runs indicating the presence of AC in the wire. 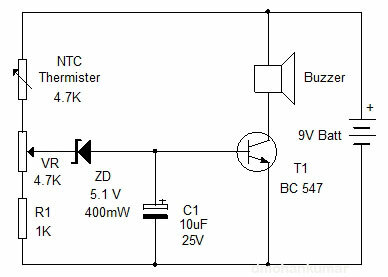 Generally a Fuse is added in the power supply positive of many DC operated devices to protect them from high voltage surges. But when the device fails, we have to check the fuse to see whether it is good or blown. 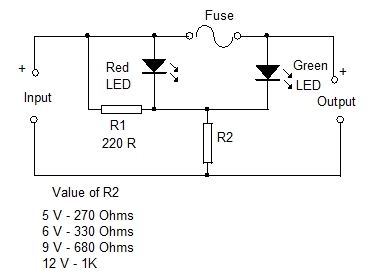 We can add a simple circuit to show the status of Fuse. 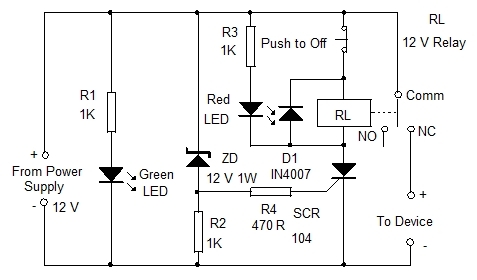 The circuit can be hooked to the output of the power supply. Here three simple Blown Fuse Indicator circuits are given.